In TriBeCa, nearly invisible, tucked away under some construction scaffolding on Chambers Street for as long as I can remember, you’ll find some of the best and most reasonably priced fried chicken in NYC. This is no dive. It’s a very well designed, polished space that feels like they should be charging double what they are. This is one of the those gems that feels like such a deal and nearly the entire menu is excellent. Despite the uncooperative weather, I decided to trek out for a comforting lunchtime meal on this rainy, dreary day. It’s on the far edge of my lunch walk limit, but it’s a walk I’m always willing to take because their food is so incredibly satisfying every time. On this visit, I decide to order one of their lunch specials. 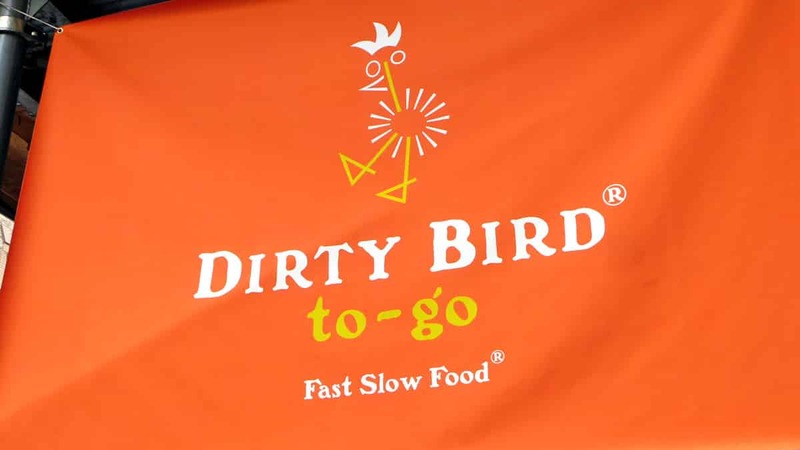 There are many choices, but I was in the mood for some of the amazing fried chicken and I personally prefer dark meat, so I was happy to find they offer a dark meat only option. 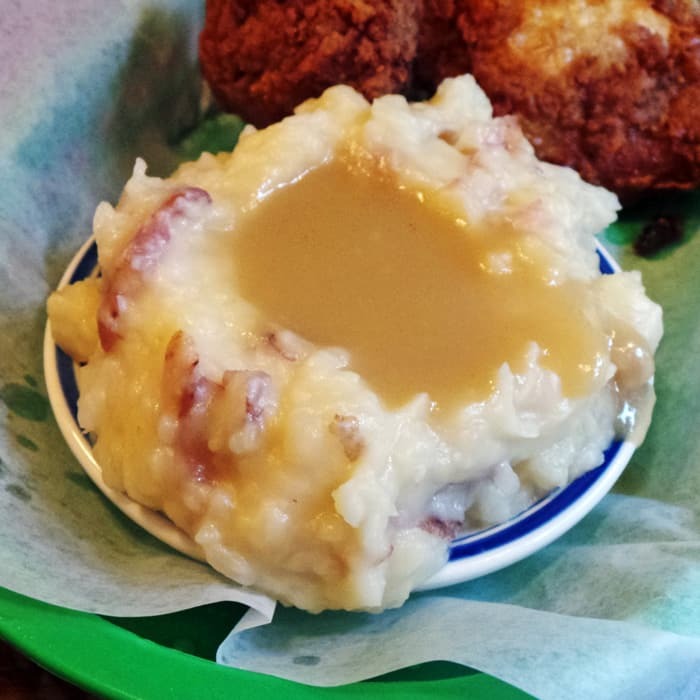 For only $8 plus tax, I receive two large pieces of dark meat fried chicken, as my choice of main, a bowl of skin-on mashed potatoes topped with brown gravy, as my side, and two chocolate chip cookies! That’s a ton of great food for such a reasonable price. 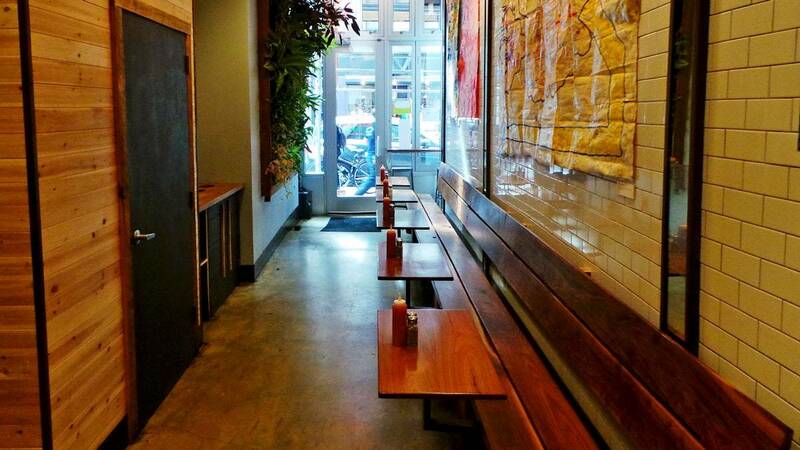 I grab a seat near the entrance at one of the individual bench tables and wait for my food to arrive. One of the staff members brings over napkins, silverware, and a glass of ice water which is a really nice touch. Shortly after, my platter arrives fully loaded with piping hot, freshly fried goodness. My two-piece order arrives with a drumstick and a thigh, each golden and glistening from their dip in the deep frier. I immediately go for the bottle of glowing orange vinegary hot sauce as well as the hot pepper infused vinegar and load up both onto my fried chicken and mashed potatoes. The chicken is, in my opinion, perfectly fried. 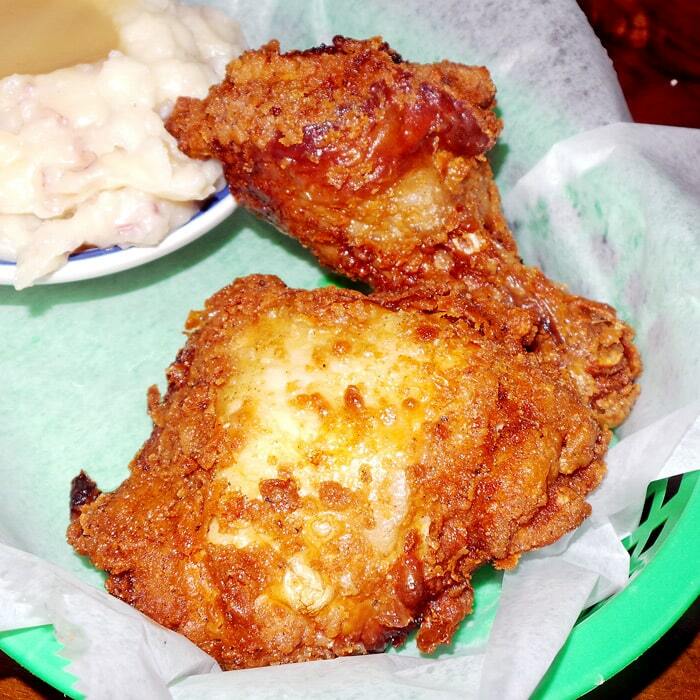 It’s just a bit greasy, but honestly that’s part of the fun… having a little dribble of chicken grease running down your chin as your dive headfirst into the tender, crispy chicken meat. Each bite contains plenty of meat and has a satisfying crunch from the fried exterior. The spice blend on the outside is also really great and pairs very well with the accompanying hot sauces. The mashed potatoes are also quite excellent. I love the skin-on style and the creamy, yet chunky consistency they achieve. The gravy adds some great flavor which I kick up with a shake of black pepper and a squirt of hot sauce. As if that wasn’t enough, I have the pleasure of finishing up my meal with two crispy, crumbly, melty chocolate chip cookies. 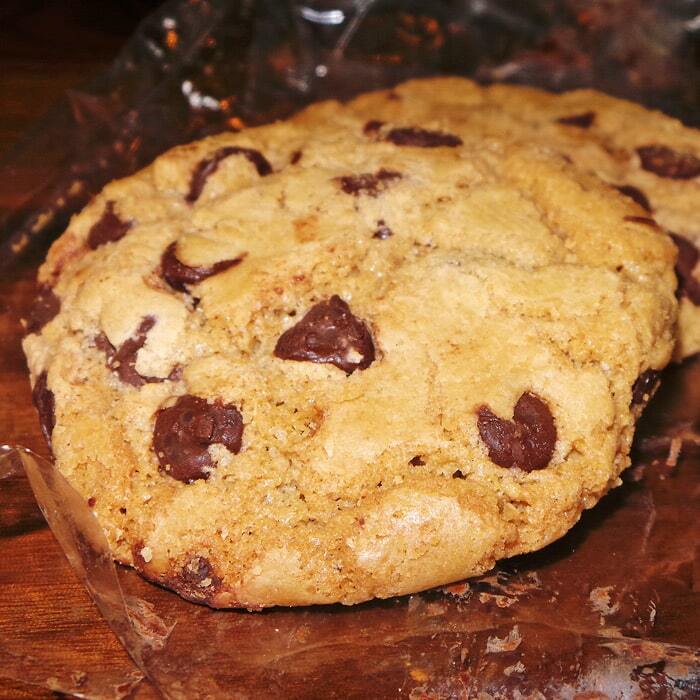 I think I prefer it when cookies are still a little soft and doughy, but for a hard cookie, this is really great. All in all, this is one of the most satisfying meals I’ve found in New York and think it’s also one of the best deals out there, especially in TriBeCa. 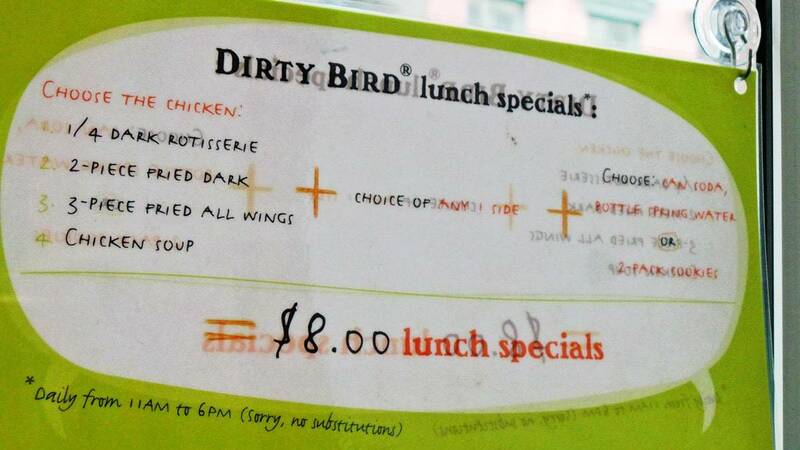 Even outside of the lunch special, the entire menu is very reasonably priced and I can vouch for the rotisserie chicken and chicken tenders as well. This is a true NYC gem. I’d love to go here for lunch some day soon. Let’s do it.